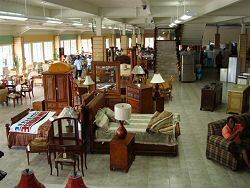 The mega store, located on American and All Saints Road, is Antigua’s finest department store with a wide range of furniture; kitchen ware, electrical goods, garden furniture and much, much more. 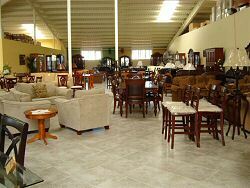 Their two floors of open plan, light and airy showroom floors ensure clients can easily view and select the ideal item for home and garden. Townhouse Megastore has something to suit all tastes and pockets. Established in 1959, the family business has gone from strength to strength, building a strong customer base and a reputation for excellent customer service by providing a wide range of goods and a first class after sales service. Quality, style and comfort are key in the selection of goods on sale – three piece suites are offered in leather and fabric; dining room tables in wood and glass; bedroom furniture in light and dark woods; garden and patio furniture to fit large and small areas. 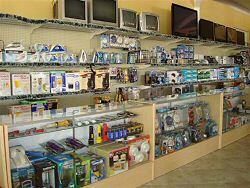 Blenders; mixers; audio; communication; lighting; rugs; shower curtains; cutlery; glassware and cooking pots – there is a little bit of everything at Antigua’s Finest department store. For further information, please call or e-mail us.